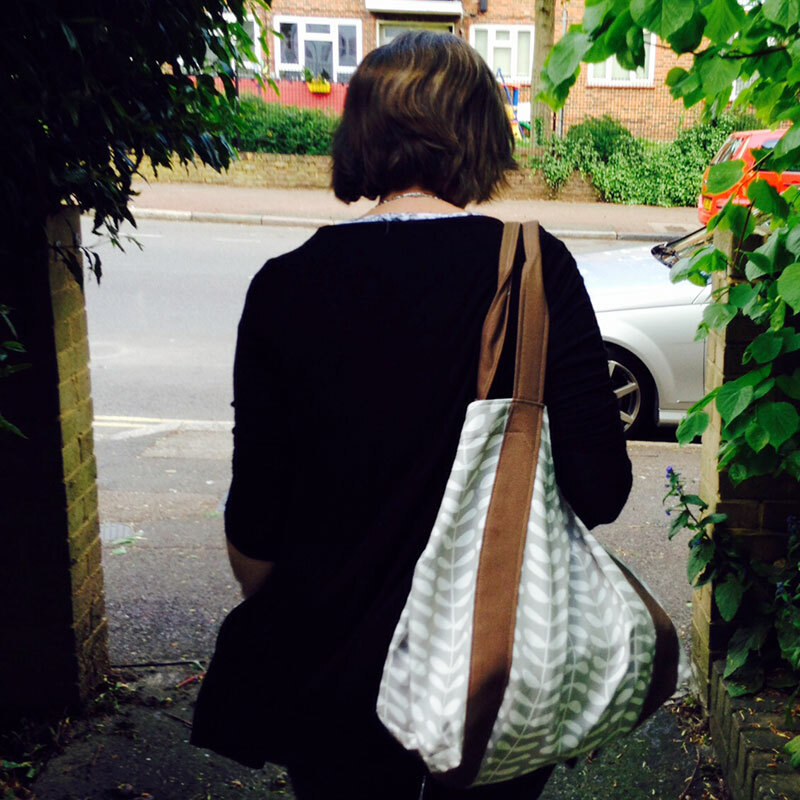 I was really pleased to be asked to join the Indiesew summer collection blog tour, and today’s the day to share my make. 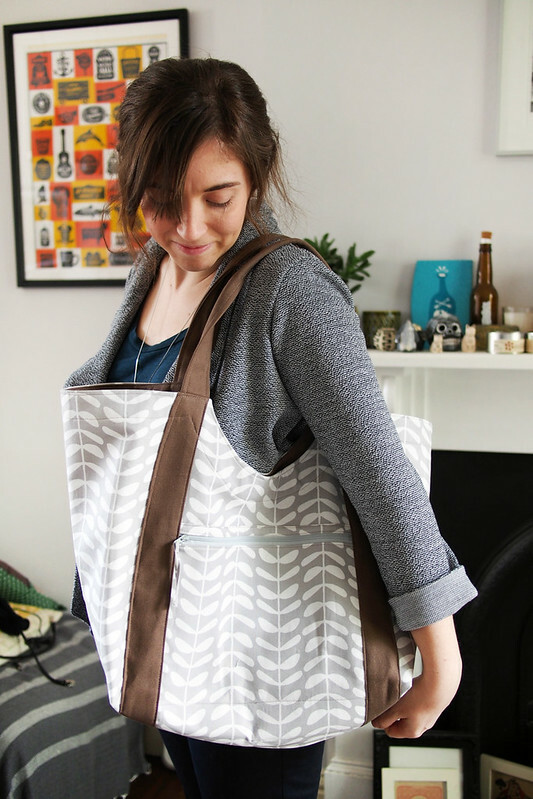 If haven’t seen it yet, Indiesew is like an indie pattern brand megastore, perfect for browsing tons of labels in one place, and all easily filtered by category. For my review of the collection I was allowed to pick three patterns, and I’ve actually made two of them already. 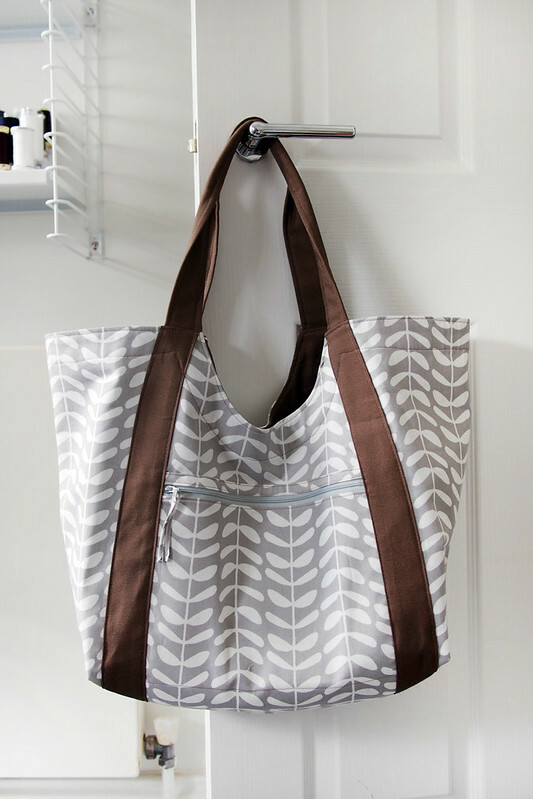 This is the first, which is Noodlehead’s Poolside Tote. 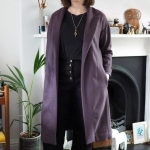 What I especially like about Indiesew is they make up the garments in their own fabrics, so you get a different view than the photos released by the designer. 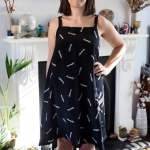 They also have a great community so you can see how lots of other people have made up the patterns – it’s always really handy to see a pattern on lots of people and in a variety of fabrics to help visualise if you’d like it! 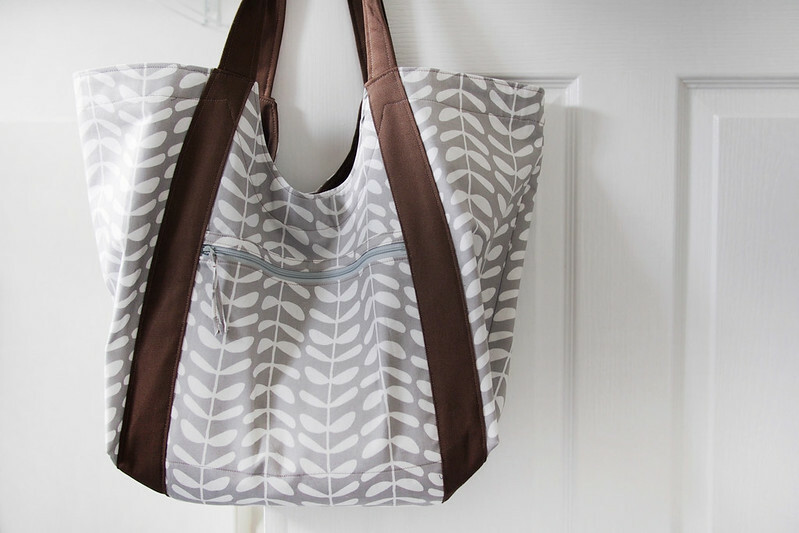 Noodlehead’s blog has a lot of other fabric options for this tote too – I think the pattern works great for a city bag as well as ‘poolside’. 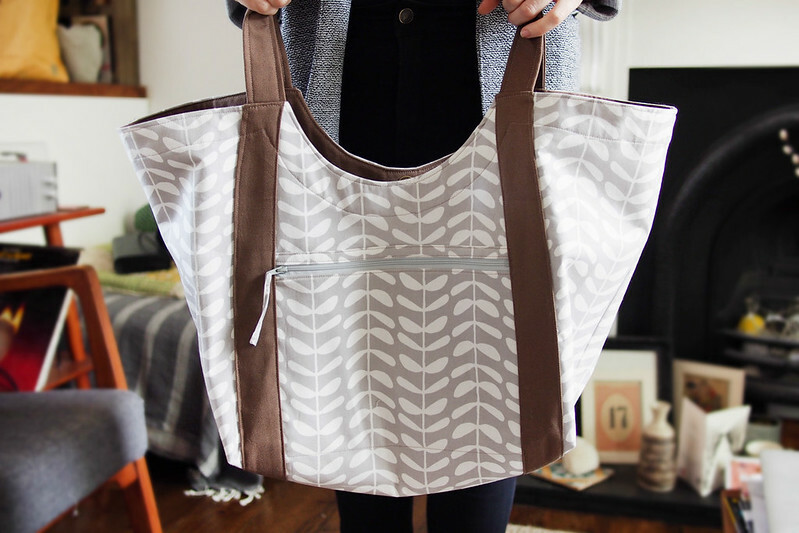 I made the tote as a wee gift for my mum as she’s been after a roomy shopping tote and this fabric I found (Art Gallery Vines grey canvas) reminded me of her favourite Orla Kiely designs. I used Minerva’s tan canvas for the handles and edge facing which is slightly thicker so seemed suitable to add some sturdiness. Nearly all of the pieces are interfaced per the instructions for more stability too. I like how the end result is structured yet squashy too – it’s comfortable to wear and incredibly roomy. So I really like how the bag turned out, but I realised early on that the process of sewing bags isn’t really my bag (ho). All the measuring, cutting and ironing takes twice as long as the actual stitching and was such a snoozefest. But the Poolside instructions were clear and easy to follow which did make it as painless as possible. 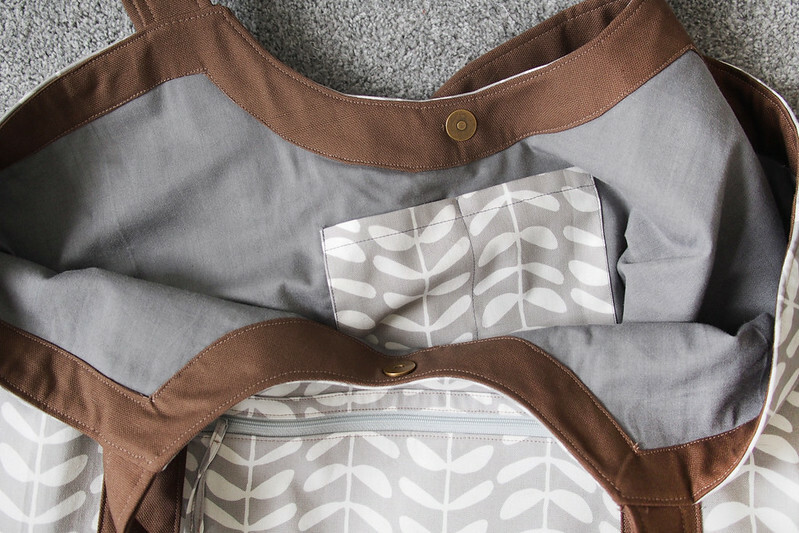 It’s constructed a bit differently to how I’ve made lined bags before: usually I’d leave a lining corner open to turn it all right side out, but here it’s all assembled with the right sides out, and the little facing strip finishes the upper edge nicely. The only thing I changed was to leave off the keyring loop and to add a magnetic snap closure – the edge facing is a natural place to add a fastening. I just made sure to get the snaps in place before topstitching the facing down so the prongs are hidden inside. 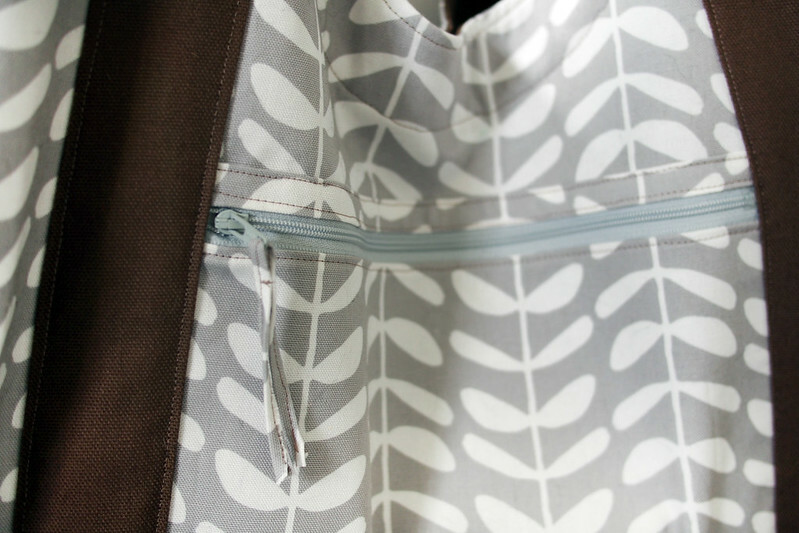 I also added a practical phone-sized interior slip pocket before constructing the lining. I used a jeans needle for all the construction to negotiate the thick fabric. I’m not mad pleased with my topstitching; it’s pretty wobbly and obvious looking even though I used my 1/4″ foot. I found it hard to keep it straight when dealing with multiple layers and manoeuvring the rather large bag under my machine. It’s a bit of a prancing pony* situation though and I suspect it’d have looked worse if I ripped it out and tried to redo it. And my mum loves it and started using it immediately, which is the main thing! *If you can’t see your mistakes from the back of a prancing pony, they don’t really matter. I think I took this from knitting legend Elizabeth Zimmermann. Thanks again to Indiesew for sending me along the pattern! 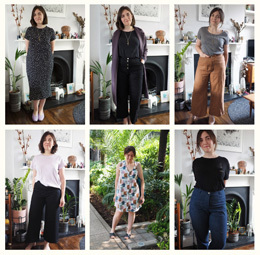 Be sure to go check out the whole summer collection, I think you could build a pretty sweet capsule wardrobe from it. Ooh, it is SO Orla Kiely! 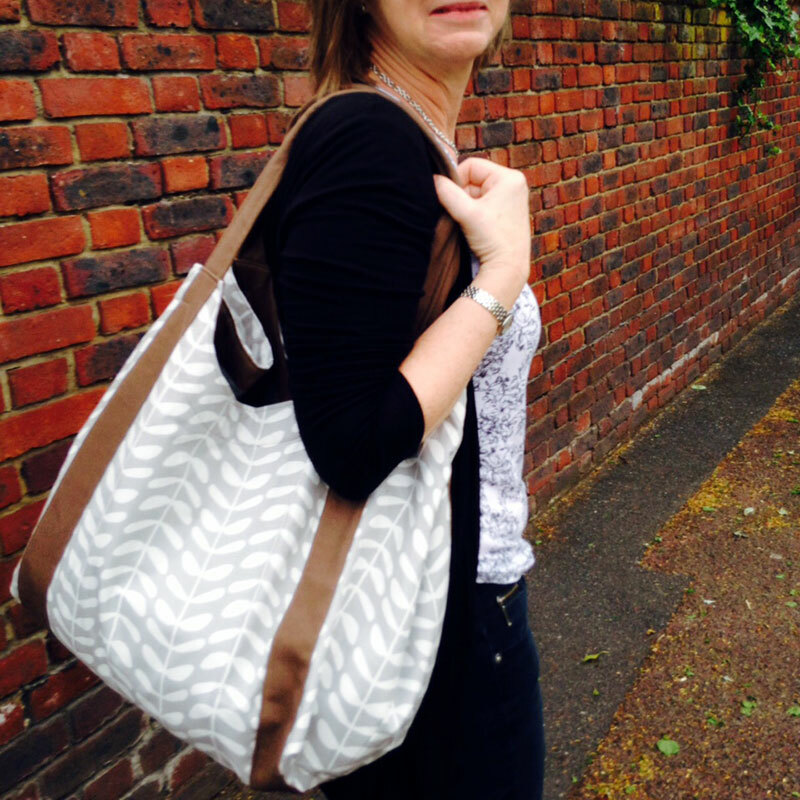 I’d better keep my mum from seeing this or she’s going to want one too… It looks great – and I can’t see anything wrong with your topstitching at all! As soon as I saw this I immediately thought of Orla Kiely! Awesome job! It looks fantastic. Your mother will love it! 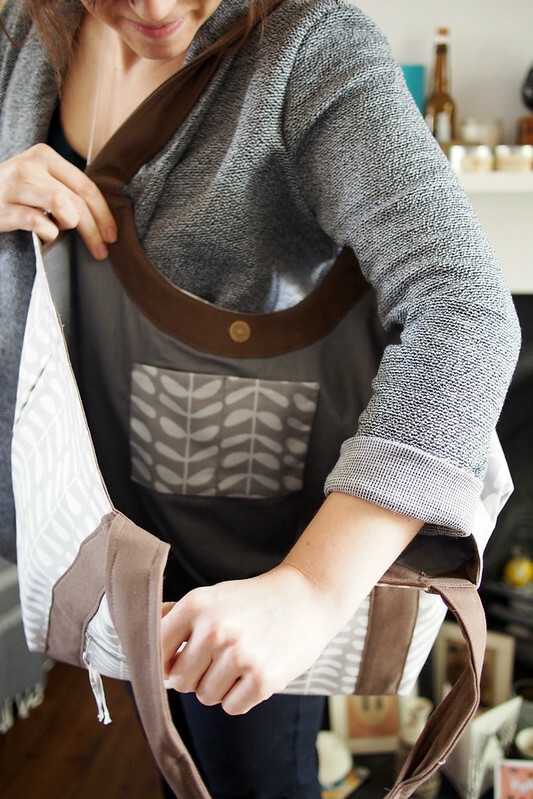 This bag looks fantastic – you Mom is a lucky lady! Also I love that prancing pony quote! What a great bag! This is the kind of bag I would take care to keep clean and not throw my wrappers in it. Very cute, I’m sure she loves it! Also – woah does it REALLY need 3 3/4 Yards of fabric?? I used less and really squished the pieces on! I think I got away with 1m of the vines and lining (with zero left) and 1m of the brown accent (lots left). This is great! I saw the bikini on House of Pinheiro, but didn’t realize this was a blog hop. Indiesew is a great idea, and I plan on getting the mini bundle. Thanks for sharing! Beautiful bag! And what a great gift! 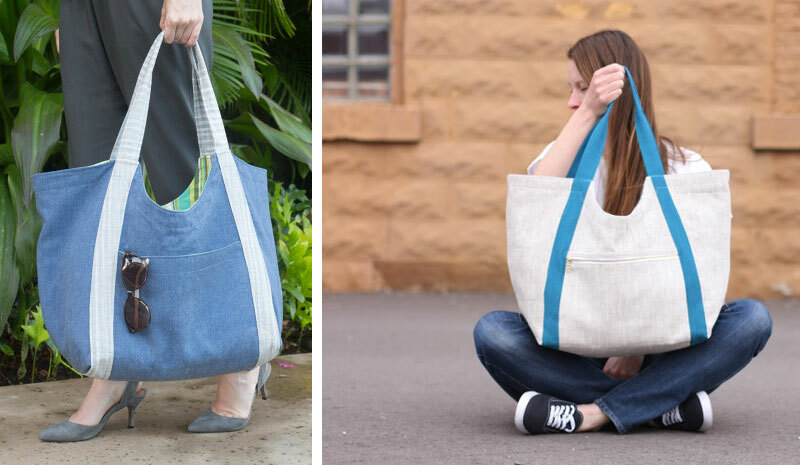 I’m just not into making bags, either, but this looks great!